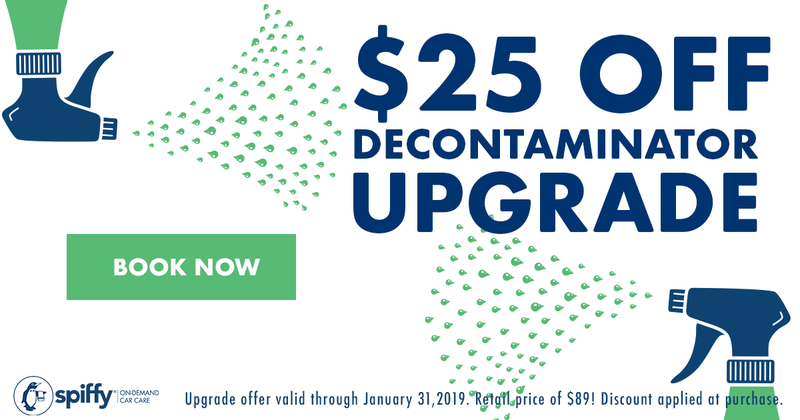 Stay Healthy This Flu Season with $25 Off of a Decontaminator Upgrade! With the flu season still going strong, it’s important to keep up with the proper steps to stay healthy. While it’s crucial to wash your hands frequently, cover your mouth and nose when coughing or sneezing, and avoid close contact with those who are sick, there’s a good chance that you aren’t considering the germs that build up in your trusted car. Fortunately, you can put any concerns to rest by taking advantage of our Spiffy Decontaminator upgrade for $25 off for the remainder of January! Last year’s flu season was record-setting, with more than 80,000 American deaths estimated by the CDC. While not worse than the 1918 flu pandemic, it was the worst since estimates became readily available in 1977. A combination of a severe influenza strain and a less-effective vaccine were attributed to the heightened numbers from the previous season. So far, the 2018-2019 flu season has impacted between 6 and 7 million people. Are you worried that flu germs might be lurking in your vehicle? By choosing our Spiffy Decontaminator upgrade when scheduling your next car wash or detail, we can destroy the cold and flu viruses as well as other odor-causing microbes in your vehicle. With the Simoniz ODOR-OUT™ delivery system, we can sanitize your seats and surfaces with a chlorine dioxide vapor that can make direct contact with any eradicates infectious compounds that could make you and your family sick. While flu activity tends to peak between December and February, it can last as long as May. With that being the case, now is the perfect time to book our Decontaminator upgrade! Our technicians are happy to provide an extra layer of sanitation for you, in addition to your friends and family, as this flu season marches on. Don’t miss out on this exciting limited time offer!